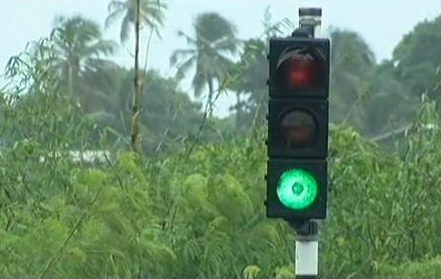 As of Thursday, 5 January, 2017, motorists and residents at Paradise, St Andrew, can again travel with ease, since the traffic lights at the Paradise Bridge have been restored. 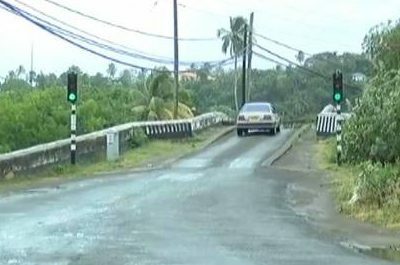 Due to the major traffic disruptions caused by the malfunctioning traffic lights in December 2016, 5 young boys from the Paradise area took it upon themselves to direct and control the traffic flow on the bridge. Acting Commissioner of Police, Winston James, sent his commendations to the young boys, and thanked them for taking the initiative. Head of the Community Relations Department (CRD) at the Royal Grenada Police Force, ASP Sylvan McIntyre, who was aware of the situation, said “we understand the inconvenience and the danger associated with the vehicular traffic in that area,” however, at the time they were having some challenges with sourcing the required parts. Susan Douglas, grandmother of one of the young boys who was directing traffic at the bridge, said “the people treated them good.” She noted that the young boys, who have since returned to school, received tips from motorists who saw the importance of what they were doing. They were able to raise enough money to purchase essential items for school. Ms Douglas said she supported the boys by providing water and meals for them. Motorists hope that the lights remain functional in order to maintain the traffic flow.